Are you traveling to Hungary by air? This post will guide on the how to get to the from the Budapest Airport to the city center and vice versa. If you are traveling to a new city, that is probably the first question you should consider. In the case of Budapest, there is no reason for confusion as there is only one airport handling scheduled flights operated by airlines. The Budapest Ferenc Liszt International Airport(IATA code BUD) is the main airport of Budapest and the biggest in Hungary in both passengers and cargo traffic. Another important information is that the Terminal 1 of the Budapest Airport was closed in 2014. For that reason, all passenger flights arrive and departure from the Terminal 2. Considering the distance from the Budapest Airport to the city center, you should prepare yourself accordingly to avoid any flight delays. Even if you are going by car (including taxi), the journey can be long and delays due to traffic happen quite frequently. The distance between the Budapest Airport to the city center is of approximately of 20 kilometers. This distance considers the Budapest Keleti train station as a point of reference to the city center. From the Budapest Airport to other parts of the city, the distance is slightly higher: to the Parliament 23.6 km and to te Nyugati Station 22 km. If the traffic is light, the travel duration from the Budapest Airport to the center is of around 30-40 minutes. The taxi fare to the city costs from 20 to 30 euro, depending on the the traffic conditions. Traveling by Uber or using other apps is slightly cheaper but will also depend on the conditions. Another option if you are traveling to Budapest and around Central Europe is renting a car. There are pretty competitive prices in the country and you can pick up your rental car directly at the airport. Bus is another option for travelers willing to arrive in the city center from the Airport. It is a good option for budget travelers avoiding taxi or car rentals. The best option in my option is to get the 100E bus route, which starts at the airport and travels directly to the Deak Ferenc Ter. The Deak Ferenc Ter is at the very center or Budapest, and offer great metro connections. This bus runs all day long, and just stops at late night. The 100E bus line ticket costs 900 HUF. If you are arriving past 00.30 you will have to consider a night bus, which does not travel directly to the city center. In this situation, if you don’t know the city, you might want to wait, when the bus services resumes at 5 am. 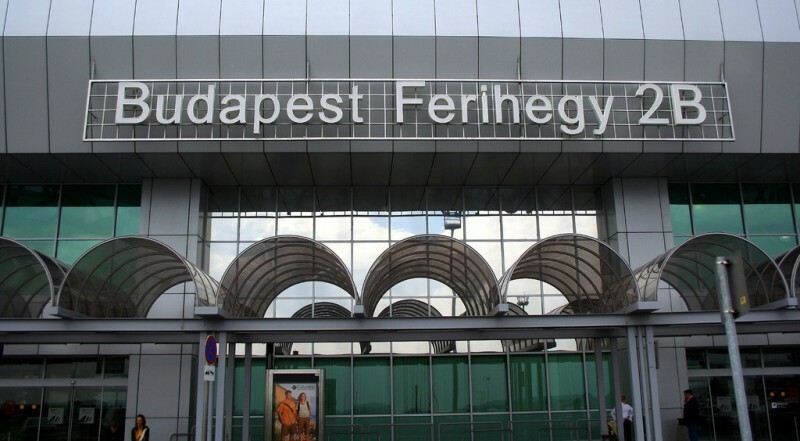 You may also want to consider taking the 200E bus, which travels from the airport to the Kőbánya–Kispest metro station. From there, you can take the Metro Line 3 (Blue Line) to the city center. The advantage of using this route is the price, 350 HUF against 900 HUF of the 100E line. There are also services like miniBUD and WizzAir offering bus shuttle from the airport to the city center. This is one of the most popular options to get to the city center from the airport or vice-versa. However, there is a main concern using this method: the Budapest metro network does not reach the airport. In other words, you can’t get from to the airport directly by metro. As mentioned above, you will have to catch the 200E bus line from the airport to the Kőbánya-Kispest metro station. Once there, you can take the Metro Line 3 to the Deak Ferenc Ter, the trip takes roughly 15-20 minutes. For bus, metro and tram trip planning in Budapest, you can visit the BKK website. The train is not a very popular option to travel from the airport to the city center, as there are no direct routes. You will have to take a bus (the 200E) from the Ferihegy Station to the airport. You cannot walk the way as its partially a highway with no sidewalks. The Ferihegy station is small and has almost no facilities. It is basically just a train stop. If you are visiting Budapest we also recommend checking our Budapest travel budget guide. If you are staying in the Budapest Ferihegy Airport for more than a few hours, buying a lounge pass an be a good idea. There are a few lounges in the Budapest Airport, and they offer great comfort, including WiFi and other facilities. You can buy your lounge pass online here. Best Choice Hostel – a wonderful hostel in the Váci street, in one of the best areas in Budapest for shopping and nightlife. Omega Guesthouse Budapest – a nice Guesthouse close to the Blaha Lujza square, with convenient metro and tram connections. Six Inn Hotel – a great option in a calm area, near the Andrassy Avenue and a relatively short walk to the Heroes’ Square. City-Hotel Budapest – a great hotel in a very convenient location at te Budapest VII district. Boscolo Budapest, Autograph Collection – a luxurious hotel in the District VII, featuring the New York Café, one of the most splendid in Europe. 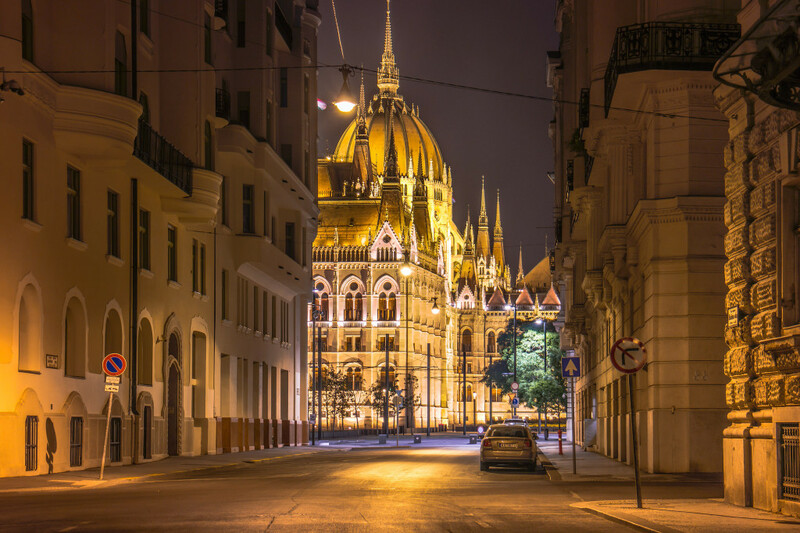 Kempinski Hotel Corvinus Budapest – a sumptuous hotel that enjoys one of the best locations in Budapest, close to the Deák Ferenc square, the Basilica, and the Vörösmarty ter. If you want to read more about Budapest, check our guide on where to stay in Budapest.